الخيار الأفضل للحصول على المتعة والاسترخاء، Blue Mountains Backpacker Hostel يقع في منطقة رائجة من أفضل مناطق المدينة. يمكن من هنا للضيوف الاستمتاع بسهولة الوصول إلى كل ما تقدمه هذه المدينة النابضة بالحياة. يوفر العقار بفضل موقعة الجيد وصولاً سهلاً إلى أهم معالم المدينة.
. كما يقدم Blue Mountains Backpacker Hostel الكثير من الخدمات لإغناء رحلتك في المدينة. يقدم هذا الفندق العديد من الخدمات الكفيلة بإرضاء أكثر الضيوف تطلباً. لقد جهزت هذه الإقامة الفندقية بعناية فائقة لتوفر مستوى عالي من الراحة. في بعض الغرف يجد النزيل غرف لغير المدخنين, تدفئة, تلفزيون, خزنة داخل الغرفة, دش. يمكنك طلب اللائحة الكاملة للخدمات في الفندق ومن بينها بلياردو, غرفة ألعاب. إن كنت تتطلع إلى إقامة مريحة وهادئة في المدينة، فستجد في Blue Mountains Backpacker Hostel بيتك الثاني. The hostel is on a great place close to a train station, which was really handy for me, because I came to Blue mountains by train. The hostel is really cheap compare to other places, room and all othes areas are very spacious. Each person has a big locker in a room. Laundry is for free and staff is very nice, friendly and helpful. Staff at the reception was so helpful and patience. The location is convenience is just few minutes walk to the train station and main street. Overall, I'd come back to this place again! Highly recommended! Hi Alexander, Thanks for the kind review and recommendation. We're glad you had such a great time at our hostel. We want all our guest to leave with a smile and having enjoyed their stay. We hope you visit again one day. Kind Regards, Taylor and the BMBH team. Had a great stay here for 4 days instead of originally 2 days. The place is really big and had lots of entertainment. It’s clean and had a lot of information. Extended my stay here to relax more. Staffs here are so helpful and gave a warm environment. I am so surprise that they even had Free BBQ. We stayed one night in a family room. 2 year old, 9 month old, my husband and myself. We found the owner to be extremely helpful and welcoming and accomodating when we realised we book the wrong size room! Facilities are excellent and we were super comfortable even on a chilly night in the mountains. The location is fantastic with an easy walk to shops and some sightseeing spots. Would definitely stay again! good kitchen facility. decent bed. good use a good cleanup/make over as there was quite a bit of mildew in my room. Didn't seem to be putting much money into the place, although you see this regularly with Australian hostels. I guess the tourism industry is too great to really be bothered. the hostel is situated just some 2-3 min. from the Katoomba train station, walking distance to shops, travel agencies offering activities in Blue Mountains and pubs etc. ; It's a longer walk to 3 Sisters viewing point (maybe a 15-20 min. run). I've stayed in a mixed shared room with 2 bunk beds; there was plenty of space in the room and the lockers in the room are big enough to store anything you'd like to lock away. The downstairs communal area felt relaxed, no big party animals, just friendly people. The receptionist was chatty and friendly and really seemed to be enjoying his job at the hostel. All in all definitely a good place to stay at. Hi Tomas, Thanks for the kind review. We are go glad that you had a relaxed and clean stay at our hostel. Yes, we are very fortunate with our guest all being friendly and wanting to share adventures with other travellers. We hope to see you again one day. Kind Regards, Taylor and the BMBH team. Strategic location closer to all major attraction, family room is ok but i love their kitchen! Complete facilities and easy to prepare dinner for family. Kids had sufficient activities to do in common area while waiting for us to cook and we have pleasant experience. Parking is free overnight, that's plus point! Everything is convenient here, location near train station, supermarket nearby, cafe n restaurants too. Staff is very friendly n helpful. We booked a room with private bathroom, room is comfy n with large bathroom. Yes, a highly recommended hostel. Pros: The kitchen was huge, there was plenty of stove to use, plenty of cold and dry food storage spaces, sufficient kitchen wares to use, and the kitchen was clean. This would come in handle for many of us that cooks. Free wi-fi throughout the hostel was definitely useful. The room was clean, however, the ergonomics was quite weird though, the TV was hang off the ceiling and it was quite hard to reach for the buttons on the TV which was on top of it. The location was awesome, its a 200m walk to an awesome breakfast place and just beside a fruits and vegetables market :) The signs decorated all over and throughout the hostel about rules and regulation was quite intimidating, maybe its the language.. The hotel was great, rooms are clean but the pillow was a little to thin for me, facilities were in good condition. Common area was big and fun with lots of travellers playing games at night. The location was great, nearby to the Katoomba station. There is also a nearby bus stops easy for access. Near to the main attractions and malls. The hotel staff were very friendly. I will definitely come back to this hotel again! 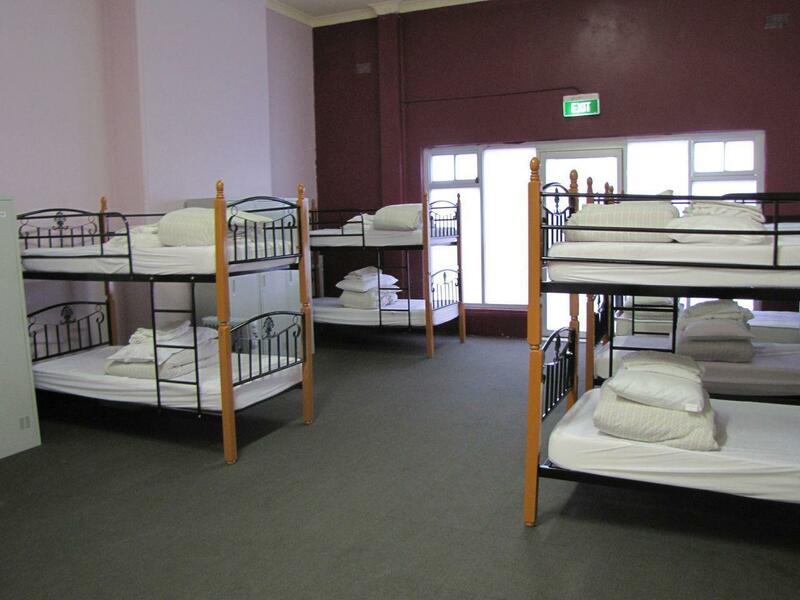 The hostel is located within a 5 minute walk from Katoomba Station. There is a Coles supermarket within 5 minutes walk as well. We stayed in a private double room and thought it was comfortably sized. Do however note that they are strict on the checkout time of 10 am and if you were to leave your baggage with them after checkout, you would have to pay $5. We were quite surprised with the additional charge as it was not expressly stated in any notice at the reception. Hi Wanline. Thanks for the kind review and feedback. Yes, we are quite fortunate with our location being less than a 5 minute walk to the train station and town center. We are glad to hear you had a comfortable stay at our hostel and hope you visit again soon. Kind Regards, The BMBH team. 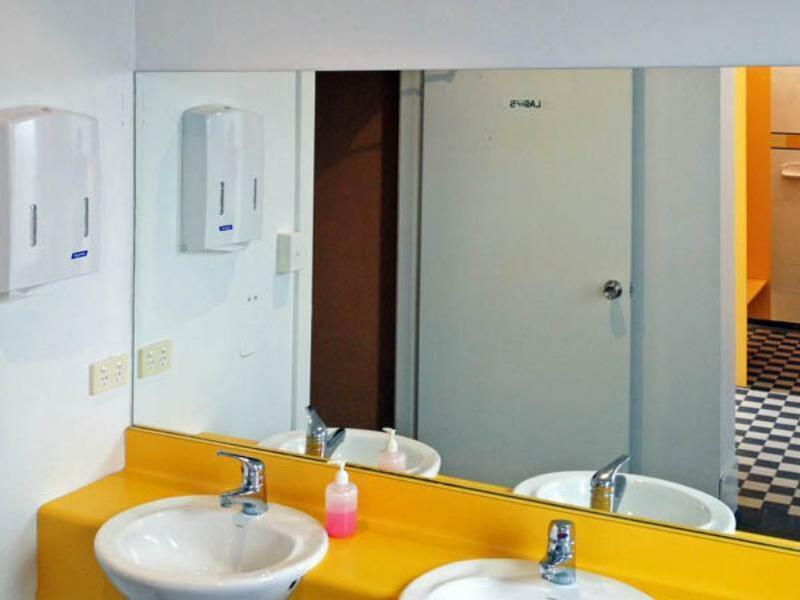 Good wifi, comfy beds, spotless toilets, loads of facilities, great location - all you'd need. Free laundry was a great touch. the location is perfect. the room is clean. internet is free for everyone. nice to stay here. Hi Grace, Thanks for the kind review. We are happy to hear you had a great time at our hostel. Hope to see you again on day. Kind Regards, Taylor and the BMBH team. Hi Josefiina, Thanks for the kind review. We are happy that you enjoyed our hostel. Yes we are very lucky with our location, only a five minute walk from the station and main street. Looking forward to your next visit. Kind Regards, Taylor and the BMBH team. 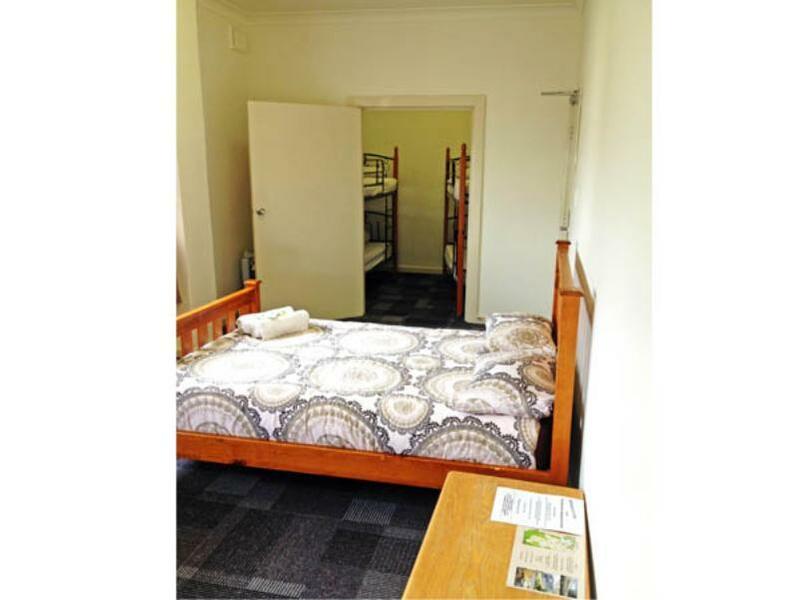 The Hostel is good located and it just takes 5 minutes to walk to it from the Katoomba Station. It was possible to check-in 1 hour before the advertised earliest check in. We booked a bunk room for 2 and this is definitely big enough for 2 people and a lot of luggage. A television was mounted at the wall and the beds were ready to sleep as we arrived. So you don't have to put the sheets or the pillowcase on it by yourself. A cotton towel was also included so I don't had to use my own one. Very nice if you leave early in the morning and the own could not dry anymore. The kitchen is good equipped and big enough. There are 4 or 5 stoves, so enough space for a lot of people to cook at the same time. There are some ovens as well. But the nicest thing which I've only seen in much more expensive hostels are - they have a very big freezer. 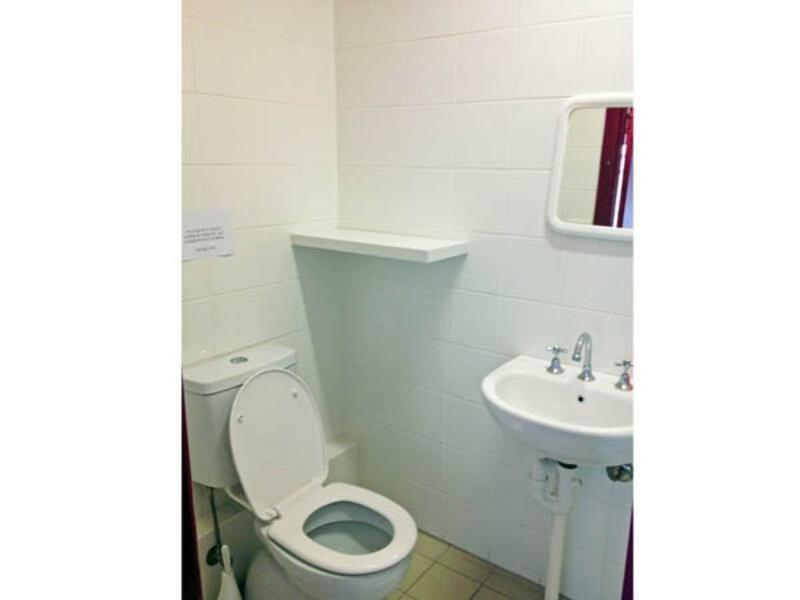 The bathrooms are very clean and big. In total there was only one bad thing at the stay. A lot of hair in the blankets, really a lot! Nice backpackers hostel. We booked a private room with private bathroom which was good value for money. You aren't getting 5star here obviously but the room was plenty big enough, clean and warm! 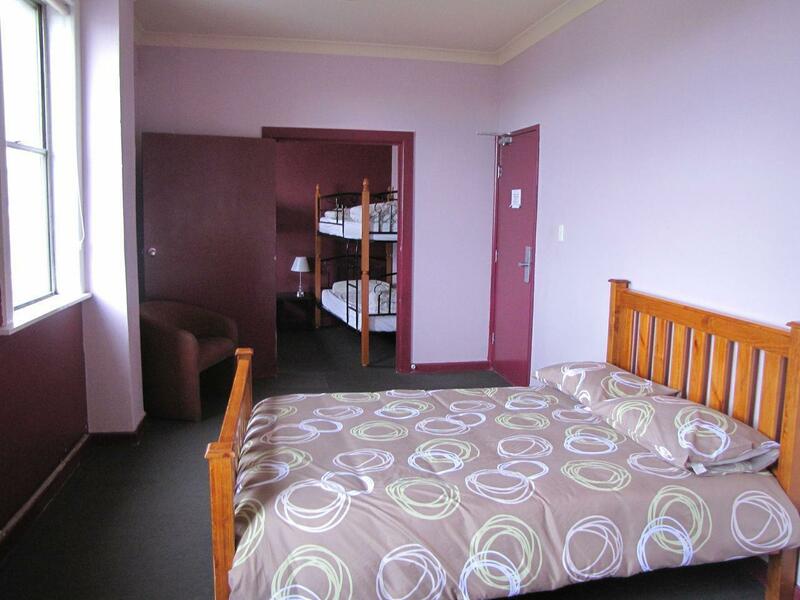 The bed was comfy and the location is good, opposite katoomba station. Large and well equipped kitchen, lot's of computers with desks in a designated room. Friendly professional staff. 5 min walking distance from train station. Wi-fi was interrupted few times, but otherwise fast enough. Conveniently located near the station. Comfortable bed and toilets are cleaner than expected. Washing machine and dryers were useful. They even had board games for us to use for free and TV and heater in the room! Maybe only thing is that the room could use a clothes hanger or something for us to hang our clothes. Hey Danlin, Thanks for the kind review. We are happy to hear you took full advantage of our large and equipped kitchen. We hope you come and stay again. Kind Regards, Taylor and the BMBH team.